The Open Biology Journal is an open access online journal, which publishes research, review and letter aticles and guest edited single topic issues, reviews and letters in all areas of biology and at the interface of related disciplines. 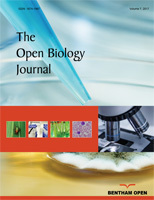 The core disciplines in biology that are published in the journal are the following: Cell & Developmental Biology; Genetics & Genomics; Molecular Biology; Structural Biology; Bioinformatics; Systems Biology; Immunology; Biochemistry; Ecology; Zoology; Ornithology; Entomology; Marine & aquatic Biology; Plant Biology; Bioethics; Behavioural science ; Microbiology; Reproductive Biology; Glycobiology; Macromolecules; Proteins & Peptides; Theoretical & Mathematical Biology; Evolutionary Biology; Techniques in Biology; Biotechnology, Applied Microbiology, Biodiversity Conservation, Biophysics, Biostatistics, Crystallography of macromolecules., education in biology, Marine & Freshwater Biology, Mathematical & Computational Biology, Mycology, Nanoscience & Nanotechnology, Parasitology, Paleobiology, Astrobiology; Physiology, biopolymers, Soil biology, and Interdisciplinary Applications in biology. This journal publishes open access reviews on recently published books (both print and electronic) relevant to the journal. Publishers and authors of books are invited to contact our book reviews editor at tobioj@benthamopen.net with book review requests. All submitted books will be reviewed by an independent expert in the field. No page charges will be levied to authors for the publication of book reviews. All authors must strictly follow the guidelines below for preparing illustrations for publication in The Open Biology Journal. If the figures are found to be sub-standard, then the manuscripts will be rejected.